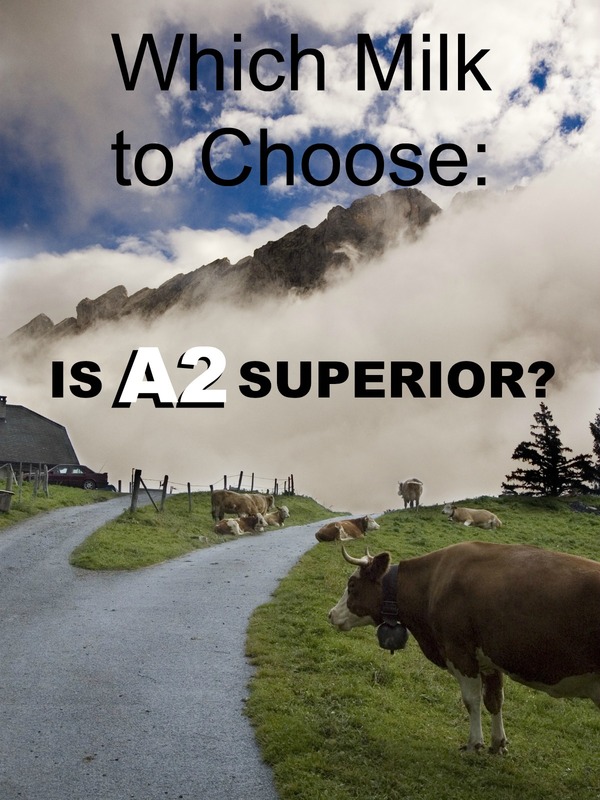 Which Milk to Choose: Is A2 Superior? When we speak about A1 and A2 milk we are not only speaking about genetic variants. The ramifications of the milk we choose to grow, buy, and consume are health related. While some academics argue there is no difference between the two on human health, in our own home the difference between A1 and A2 milk is the difference between itchy rashes and no itchy rashes. Learn more about what A2 milk is and how to find it. A1 and A2 refer to the beta casein protein type. 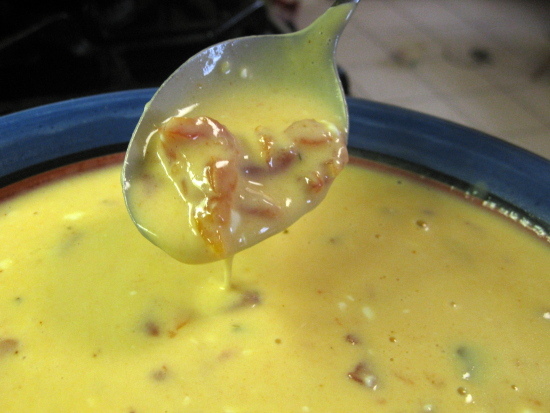 The protein in the curd part of the milk differs by one amino acid. Human breast milk, goat and sheep’s milk, and certain varieties of cow’s milk contain the A2 beta casein. 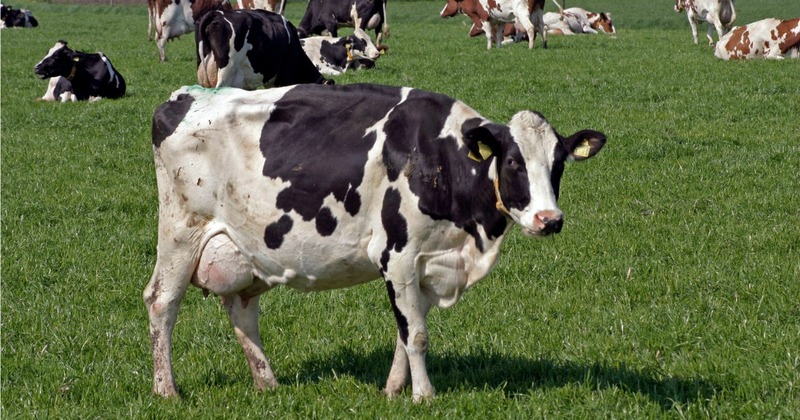 However, the vast majority of cows raised in the United States are the A1 variety. Where did A1 milk come from? It is said to have mutated several thousands of years ago among dairy herds in Europe. How does this affect you? Most of the dairy products Americans consume come from A1 milk. Over time we are arguably undermining our health with a pro-inflammatory food. While the A2 debate has many advocates, others conjecture, from their reading, that A1 milk is benign. My firsthand experience with A1 versus A2 milk has convinced me that there is a difference. Although for decades Americans have understood that lactose intolerance can complicate their digestion or tolerance of pasteurized milk, research about A1 and A2 milks starting in the early 1990’s has added new insight to this common food allergy, even among those who adhere to raw milk products. I personally thought I was no longer able to eat dairy. I had various rashes on my body that went away when I stopped eating butter, raw cheese and raw milk. Some good friends who eat a traditional diet and raise animals for their own milk and meat consumption asked me if the raw milk we were buying was A2. Honestly, I had just assumed it was. But when I asked our local raw milk farm, they said it wasn’t. My friends kindly offered a half gallon of their raw A2A2 (A2 from both of the dairy cow’s parents- the cow and the bull) milk for me to try for a full week. No rashes. And, I must add, my body flourishes on milk. I have more energy and feel more vibrant when I consume raw dairy. I crave it. Our local raw milk farmer became passionate about acquiring an A2A2 cow, understanding with my inquiry the increasing need and demand. What health complications are attributed to the consumption of A1 milk? Allergies, arthritis, asthma, autism, diabetes, eczema, GI distress and IBS symptoms, heart disease, autoimmune conditions, and schizophrenia. It’s been observed that those with leaky gut are more susceptible to potential harm from A1 milk. While it would be convenient to attach A2 milk to certain breeds of cattle, the truth is even the Jersey cow, commonly linked with A2 milk, is often A1. Only a genetic test can tell the cow’s breeding; and some sources say there are currently fewer than 2000 pure A2A2 cows in the U.S. Despite the fact that Guernsey cows produce A2 and many Dutch Belted, 75% of cows in the world are A1. Most in Asia and Africa are A2. Cows can also, of course, be cross-breeds, producing both of the beta casein proteins: A1A2. Over 10 years ago a company out of New Zealand introduced pure A2 milk to the grocery stores: the A2 Corporation. With some complications along the way, they now have their product in the States and its distribution is quickly growing. In a potential conflict of interests, the A2 Corp. holds the patent for the only genetic test that can distinguish between A1 and A2 cows. The A2 Corp. uses this patent system to license producers as officially A2. While A2 milk in stores is good news for folks who wish to replace their pasteurized A1 milk with something superior, the A2 milk company is not selling a raw milk product. Of course, they can’t. It’s illegal in the U.S. for retailers to sell raw cow’s milk and not a priority for the A2 company. Would I buy their milk? Personally, I would only buy whole, pasteurized, A2 milk if I planned to culture it and had no source for raw A2 milk. Looking for raw A2 milk? Ask your local grass-feeding dairy farmers. When I asked my local farmer they drove halfway across the country to acquire a new A2A2 cow who had just calved! They saw the potential and truth in my question, turned my query into a request, and started to transform their farm. They now have two A2A2 cows and plan to continue growing their herd. I have raw A2 milk in my fridge right now and just had raw A2 ice cream with my lunch! I hope that you, too, can find local A2 milk. If I didn’t have a personal health story related to this topic I would have to speculate based on the evidence. But based on the fact that A1 milk gives me a rash and A2 milk does not, I must conclude that A2 milk is more allergy-friendly and, when purchased raw, is a true health food. What’s the future of the A1/A2 debate? Bull breeders are taking a heavy interest. As A2 milk comes into greater demand, the shift will affect not only grass-fed raw milk farmers and large international companies like the A2 Corporation, but convention dairy farmers who must supply what consumers want. Even the mainstream industry is expected to change greatly over the next decade. To read similar health and food-related articles, also see my Facebook page and blog, Eat Beautiful. I prefer goat milk, and that varies widely from breed to breed. Wow very interesting had no idea! Not a big dairy consumer for all the normal reasons but hmmmm?? Interesting. Never heard of A1/A2 before. I need to do some research! IT is not true that it is illegal to sell raw milk in the US, as you state in your article. It is legal in Washington State, where i live, at least and I know it is so in some other states as well. I buy it all the time…there are now at least three dairies supplying raw milk to stores in northwest Washington. Thank Goodness! It’s illegal in most states with very few exceptions. It is completely illegal in only 8 states. Well that’s a relief. We paid premium to buy an a2 milk cow that is now currently grazing in my back yard. MistyMorningFarmsVA is where we got our cow from. It’s nice to know that someone I trust agrees with all the research I did on a2 milk 🙂 And that my money was well invested! Goats milk can be good too…but goats are TROUBLE to keep…clever little buggers. Happy for you! That’s great! I have hope because many small farms or family cow owners are breeding towards a2/a2 milk protein. I have three a2/a2 cows and one a1/a2, and will only breed to A2/A2 bulls. It is good to know that the A! protein does not go into butter, as it is only in the milk not the fat, so buying a good Kerrygold grassfed butter is still ok. Since I live about 2 miles from you and get my milk from the same dairy as you once did, can I assume that our beloved Dairy is the one converting? I do so hope so! I’ve been getting milk there for over 4 years!! The main dairy we get milk from is outside of Eugene, OR. They are relatively new to Eugene, only selling raw milk for the past year. So the farms must be different. You can ask your milk farmers, though. Very Informative, we live in Eugene and Can we know the farm name where you get the A2 milk ? Thanks. Very insightful article. You mentioned raw milk was illegal to sell in retailers nationwide – but they sell it at my local health food store “Sprouts” (I’m in California). I think it varies state by state and not nationally. We are fortunate to be able to buy raw goats milk straight from the farm. How do I know if it is A2? This was so interesting! I had no idea there was A2 milk. Thanks for sharing! Thanks for sharing, Jim. I’m with you. I’m 42 and feeling the best I’ve felt in years, all because of what I know now about nutrition. Blessings! was wondering if goats milk is a1 or a2. i have 2 kids with intolerance to dairy caseine but seem to do ok with goats milk. I just learned a ton. And thanks for the great link to find the local milk farmers! I, Arun Khera living in Ahmedabad city , India had been procuring A2 type mile from a local producer and since the time I have started consuming it , now almost one year, I found Beterment in my energy level and overall healt condition. Now I can consume any quantity of A2 milk and milk products depending on the need without any side effect, that was not possible earlier. The whole purpose of this post is that I fully agree based on my personal experience that yes the A2 type milk is definetely superior. Thank you for this article. Please change your language though, as you state: “Although for decades Americans have understood that lactose intolerance can complicate their digestion or tolerance of pasteurized milk, research about A1 and A2 milks starting in the early 1990’s has added new insight to this common food allergy, even among those who adhere to raw milk products.” Lactose Intolerance is not an allergy. Food allergies can be deadly (as opposed to LI) and your reference discredits you. It is a common mistake; I do enjoy this renegade journey and hope to learn more! Best regards! There’s a saying : the road to hell is paved with good intentions. Your sources of nutrition information are flawed. Milk is associated with breast and prostate cancer and autoimmune diseases such as diabetes type 1. Meat (regardless of it coming from CAFOs or from grass fed operation) causes colon cancer. It is the heme iron that causes colon cancer…. I stumbled with your site looking for kombucha recipe. I hope you check what I am telling you from reputable, peer-reviewed sources. Even if you want to discuss the nutritional /health implications of eating animal products, doing so from a sustainable, ecological stand point is not arguable : continuing feeding off of animals will not be possible for more than 50 years…. That’s as long as drinkable water will last. This might seem silly to ask but is the butter you buy at the store homogenized? Would Kerry gold give someone a rash? Thanks for your time! Hi Bobby, homogenization isn’t really an issue with butter, because butter is made with cream. Homogenization refers to the processing of milk so that it can not separate. 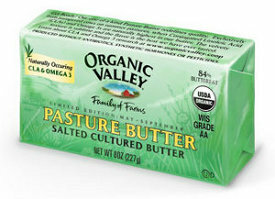 Any brand of butter could potentially give someone a rash, if, for example, they have a food sensitivity to dairy.